It’s been a busy year in real estate, and here at InmanNext we like to take a look back at what our readers took an interest in over the year — in social media, technology, and what types of topics they wanted to learn more about. 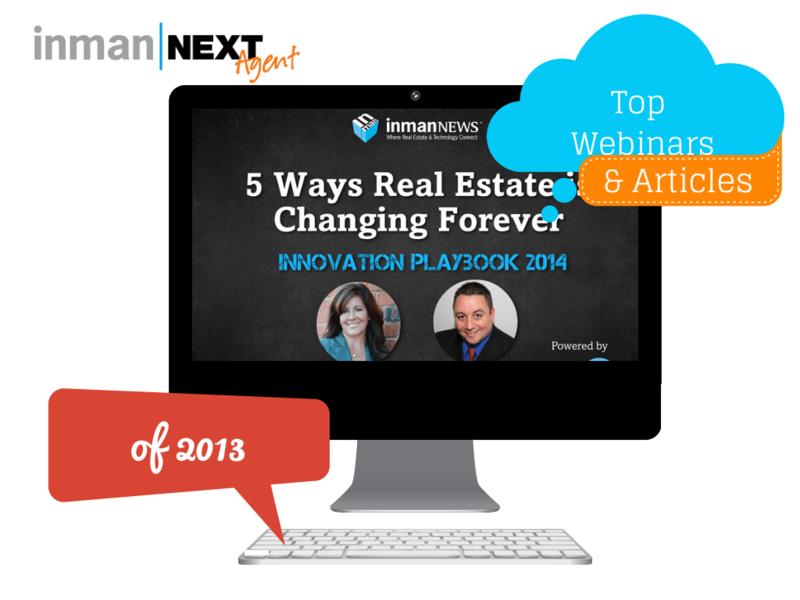 Here is a quick recap of the top webinars and InmanNext real estate posts of 2013! We also are proud to say we now have more than 45 new InmanNext contributors from across the U.S. who are now bringing perspectives in from all over the industry! Watch for these amazing writers and digital experts, including hand-picked bloggers from ActiveRain, to continue to bring great content in 2014. This year, our webinars were full of informative guest panelists, great new technologies and products hitting the market, and insights into the things our readers want to learn more about. We learned that brokers and teams love to take the recordings and have coffee and brainstorm better ways to implement and get new ideas. We are looking forward to a fantastic 2014! If you have ideas for us here at Next, we’d love to hear them! Drop a comment in the box below!